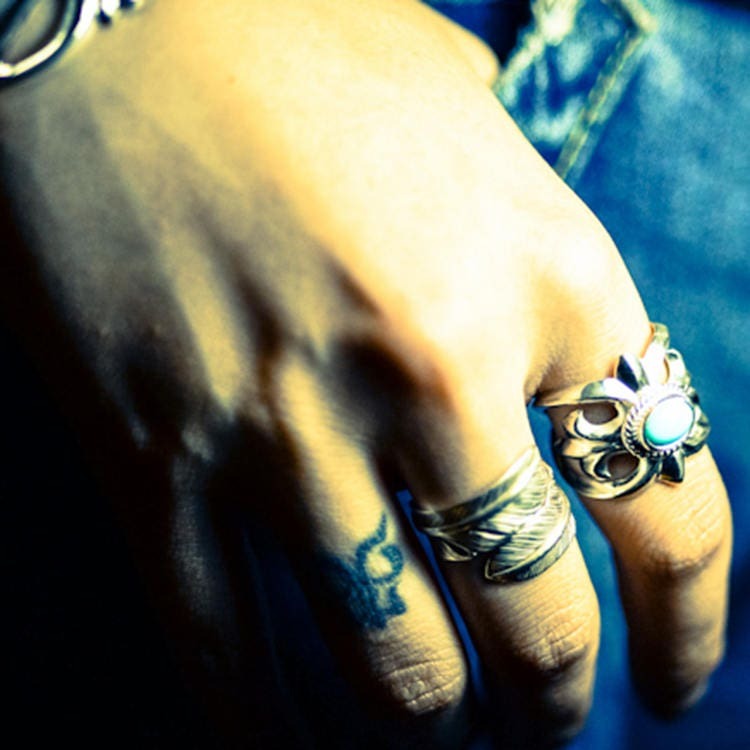 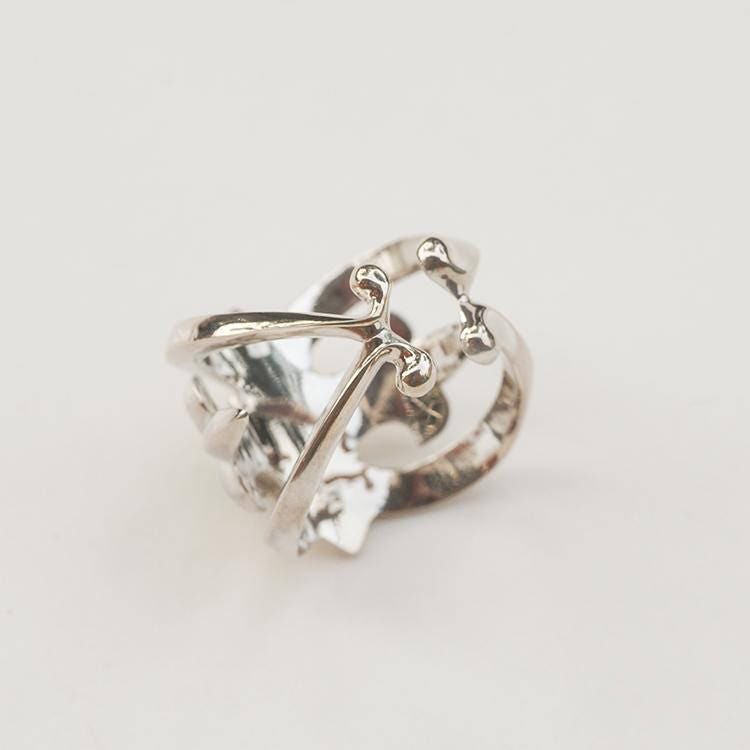 The Fleur de Lis ring is a crafted in the intricate, romantic design that is the hallmark of Victorian style jewelry. 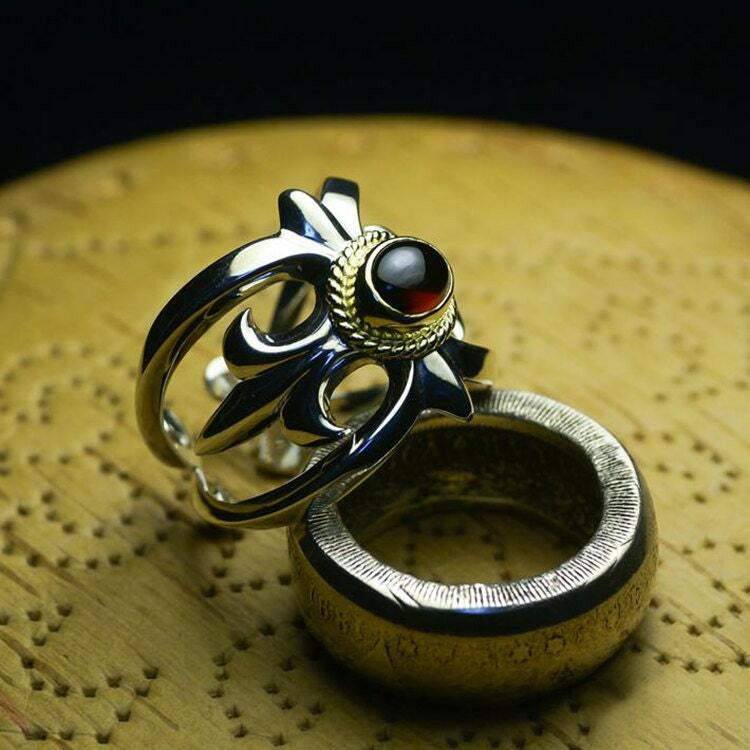 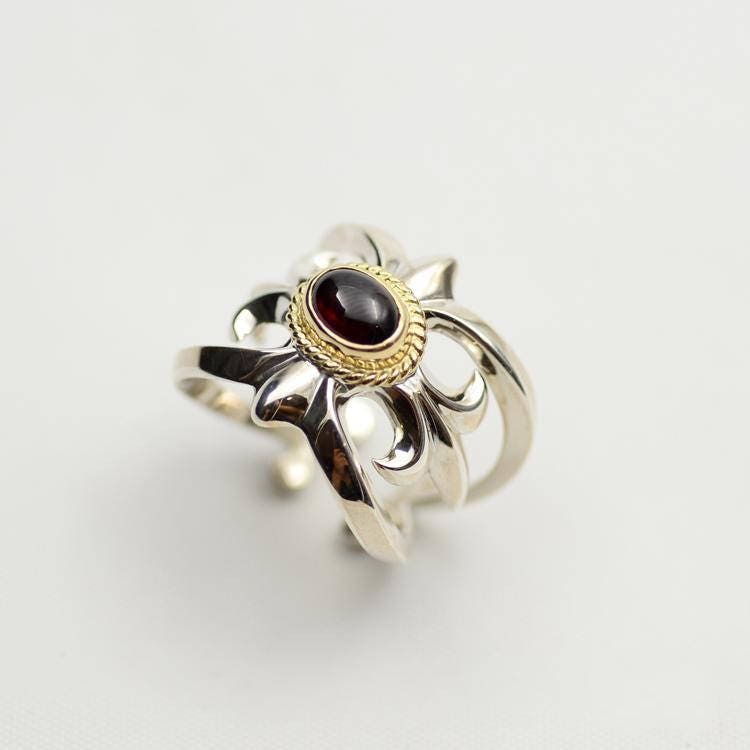 If you are a fan of things vintage, you will surely love this floral pattern ring. 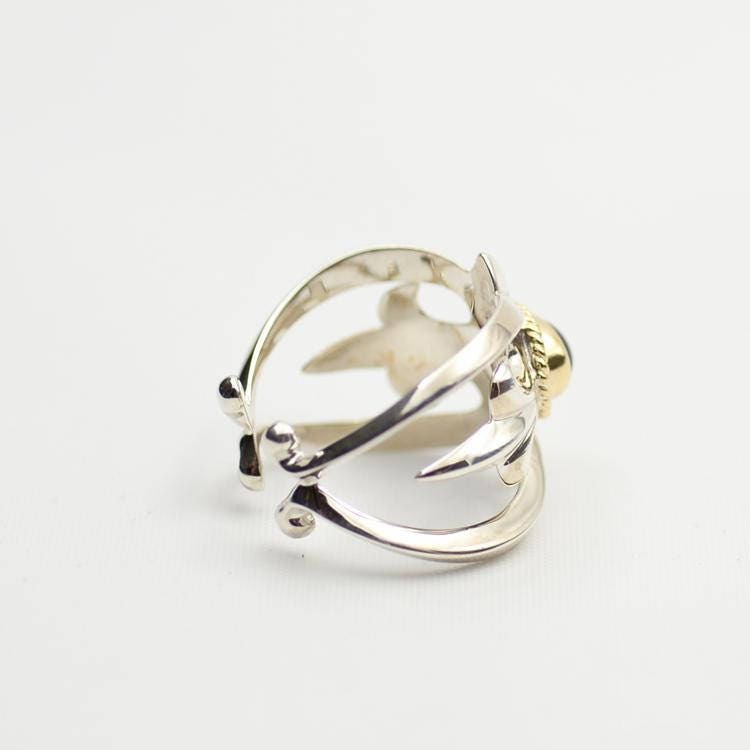 Very visible, very bold - there is no hiding when you are wearing this ring! 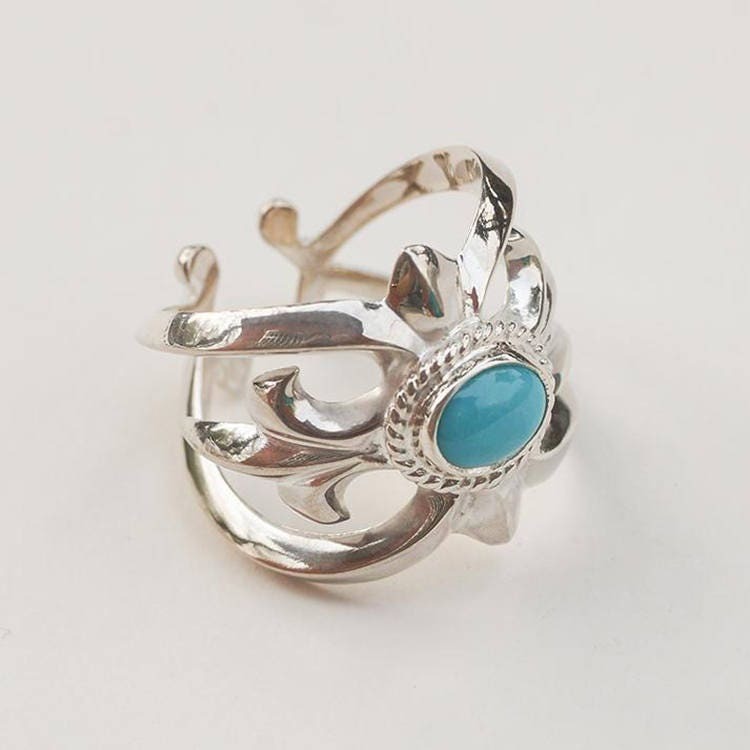 Assertive and glamorous - but still lightweight and comfortable to wear. 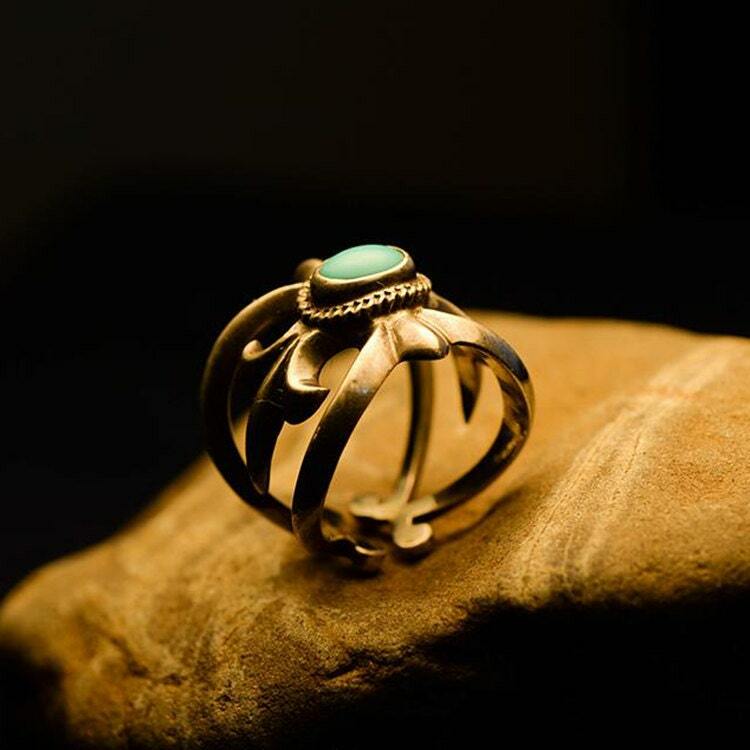 Topped off with a bright blue natural turquoise gemstone, or a deep maroon Mozambique garnet, set in a twisted wire base crafted in 18K gold (wire wrapping also available in brass for the garnet ring). 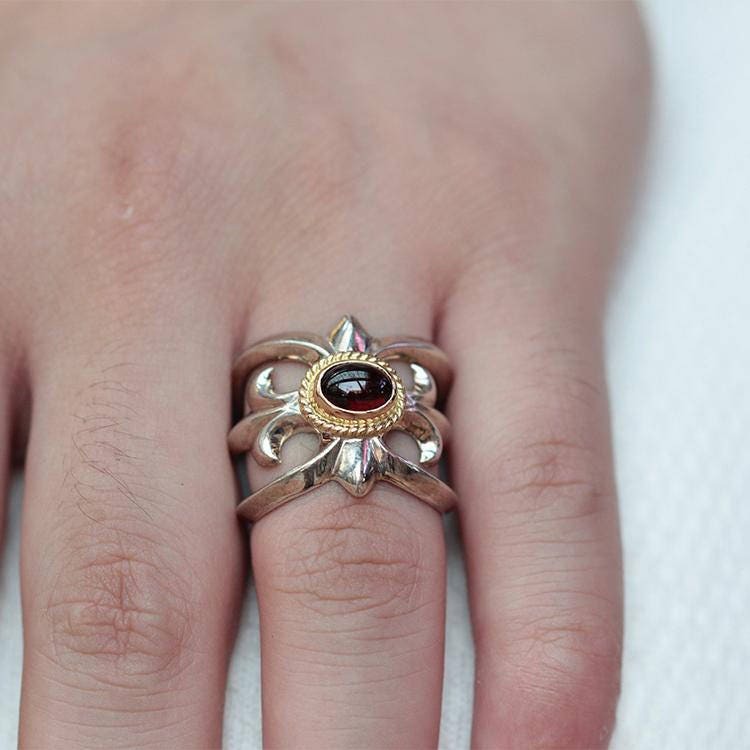 This bold and stylish floral ring is adjustable and is perfect for a daytime party or an evening out.